Oribi Gorge Guest Farm is situated on the Oribi Gorge, within wasy reach of Shelly Beach, Uvongo, Margate, and some of South Africa’s favourite seaside resort areas. The breathtaking Oribi Gorge, just 25 minutes inland from Port Shepstone, has been described as an ‘African Grand Canyon’. 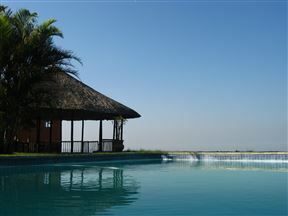 Looking for King Shaka International Airport Accommodation?